Oxbow Rescue Program members receive special, economical pricing on our full line of products for in-house use and to support resale and fundraising opportunities. Members are eligible for event support in the form of raffle prizes, handouts, activities, games, product literature and educational materials. Emergency care comes without notice, and we’re prepared to provide donations when help is needed the most. 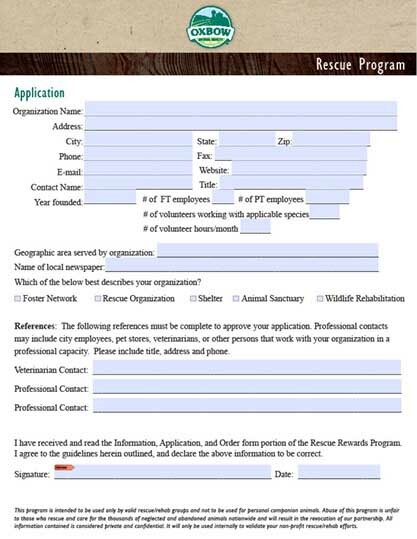 Oxbow Rescue Program members have special access to literature, training materials, and nutritional guidance to help train staff, volunteers and adopting families.